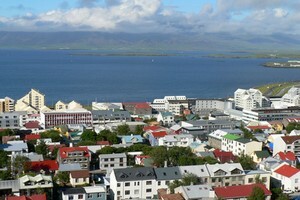 Compare prices on car hire in Reykjavik from all the major brands and find the best deals. When you book through us, unlimited mileage and insurance are always included in the price given. Reykjavik is located on the west coast of the saga island of Iceland , on the peninsula Seltajarnes with beautiful views of the mountains.Reykjavik is Iceland’s capital. Here live 120,000 inhabitants (2008), 170,000 with the suburbs. The city is the country’s main port city and a center for the trawl fishery. Reykjavik’s rich natural and cultural experiences. Here, visitors can go on excursions to see whales, dolphins and puffins during the period April to October. In winter, the dog sledding, snowmobiling and rafting. There are great hiking and fishing opportunities here. Horse riding is a popular activity among both tourists and locals, and for those who do not like it you can take your bicycle grips. Reykjavik and Iceland is known for its geothermal pool. Here is Laugardalslaug and Sundlaugarveg, which is the city’s largest. In Reykjavik we also find the country’s parliament, House of Everything, and Iceland’s largest church: Hallgrim Church. It is located on a hill outside the city center, in front of the church stands a statue of Leif Eriksson. Keflavik International Airport , Keflavíkurflugvöllur, is located approx. 50 km outside the city center.